San Bernardino, CA- The Inland Empire 66ers Professional Baseball Club announced that the team will feature Chad Tracy as its field manager for the upcoming 2016 season. The 30-year-old earned his promotion to the California League after leading the Los Angeles Angels low-class A affiliate Burlington (IA) Bees of the Midwest League during the 2015 campaign. Tracy is a native of Claremont, CA and starred at Claremont High School before attending Pepperdine University in Malibu, CA. The catcher helped the Waves to a West Coast Conference title as a freshman in 2004. He was named the Conference's Most Valuable Player following his sophomore season. The Texas Rangers selected Tracy in the third round (88th overall) in the 2006 amateur draft. After rising as high as the Triple-A level with the Rangers in both 2010 and 2011, Tracy was traded to the Colorado Rockies and appeared in 133 games for the Triple-A Colorado Springs Sky Sox. His final season in affiliated baseball was in 2013 with the Omaha Storm Chasers of the Pacific Coast League as a Kansas City Royals farmhand. The former catcher/first baseman rounded out his professional career with the York Revolution of the independent Atlantic League. In nine minor league seasons he batted .265 with 169 homers and 733 RBI in 1090 games. The California native is no stranger to the league that bears the same name; Tracy batted .286 with 13 homers and 67 RBI in 106 games in 2008 as a member of the then Texas Rangers-affiliated Bakersfield Blaze. In addition to his professional career, he also represented the United States as part of the silver medal winning Team USA at the 2011 Pan Am Games. 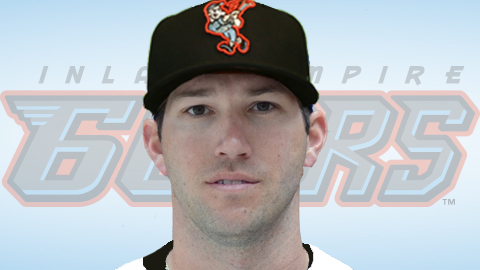 "We couldn't be happier to welcome Chad to the Inland Empire," 66ers General Manager Joe Hudson said on Monday. "The Angels have always sent us true professionals and we are excited to see Chad work with the players and represent our community. He comes from a tremendous baseball pedigree and we look forward to watching him prepare his team." Tracy, who led Burlington to a 63-76 mark in 2015, is from a baseball lineage. His father, Jim Tracy managed the Los Angeles Dodgers, Pittsburgh Pirates and was National League Manager of the Year when he helmed the Colorado Rockies. The new skipper's grandfather and two brothers also played professional baseball. He succeeds Denny Hocking who accepted the minor league infield coordinator position with the Angels following two seasons at the tiller for Inland Empire. Tracy will be assisted by new hitting coach Ryan Barba who served in the same capacity on the Burlington staff. The former Chatsworth High star and Milwaukee Brewers farmhand has moved up one level in the Angels' minor league system in each of his four seasons of instruction. The pitching staff will be guided by a newcomer to the Los Angeles Angels organization, Michael Wuertz. The first-year pitching coach spent eight seasons as a major league reliever with the Chicago Cubs and Oakland Athletics. Returning to the staff will be first base coach Steven Hernandez. The longtime high school coach in the Inland Empire will also continue his role as a scout for the Los Angeles Angels. The staff will be supported by new athletic trainer Matt Morrell who spent 2015 in Burlington and two prior seasons in Orem, UT with the Angels Advanced Rookie team. Strength and conditioning coach Sergio Rojas and clubhouse manager Jamie Fox, each of whom have been with the club since its California League title team of 2013, will once again come to San Bernardino. The 66ers 2016 home-opener is scheduled for April 14th. Season tickets, group packages and merchandise are available by calling (909) 888-9922.